Canada temperature on average by month and city. 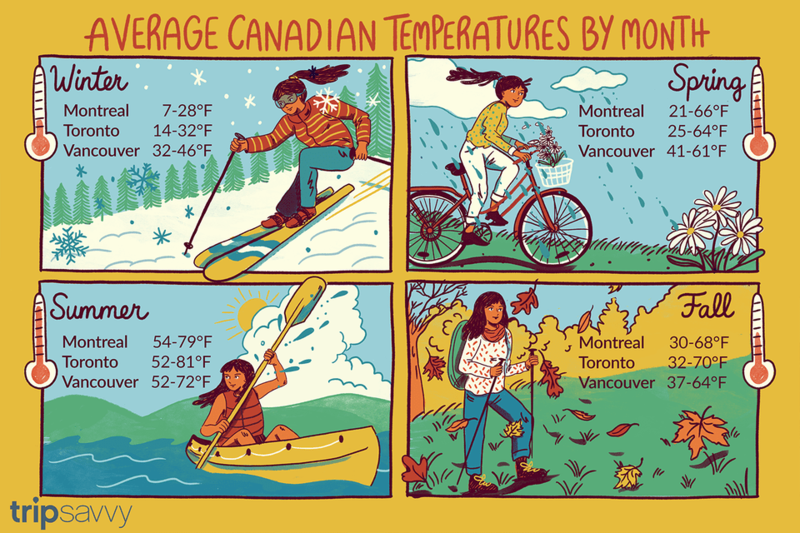 Canada temperature varies widely depending on where you are and what time of year it is. The following charts outline average low / high temperatures for major cities in Canada, going - more or less - west to east. Temperatures below are according to the Weather Network, a source for local Canadian weather information and forecasts.